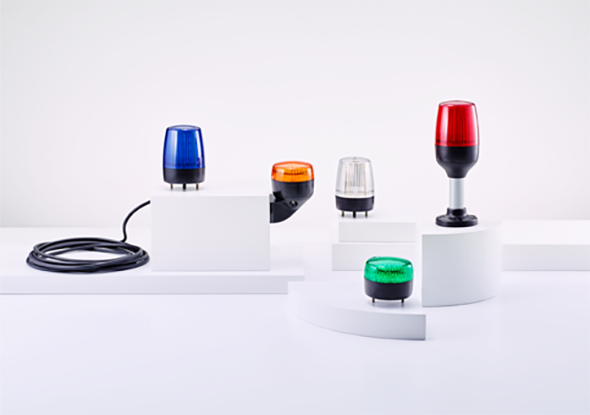 Signal lights are available in different colors: red, green, yellow, blue, orange and transparent. Signal lamps are equipped with LED, light bulb, halogen and xenon light source. 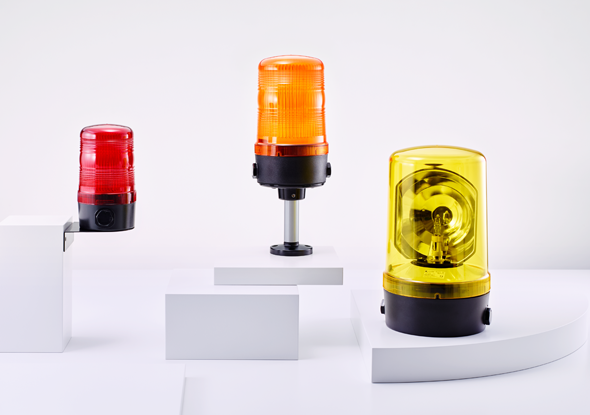 Signal lamps can demand extra attention by flashing, rotating or constantly burning. Signal lamps are also available with combined optical and acoustic signaling. ATEX signal lamps are available for the chemical and heavy industry. 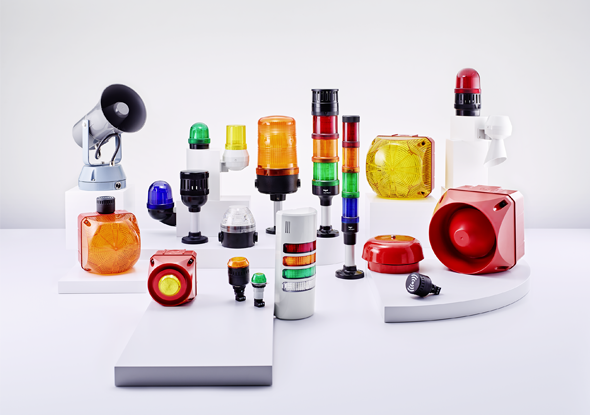 Signal lights are available in various shapes and sizes: from Ø30 mm recessed spotlights up to Ø160 mm with a high or low lens design. The P-series mediumsize industrial lighting from Auer Signal has a diameter of Ø75 mm. The P-series signal lights are configured and pre-wired with LED or Xenon light source. In addition to standard 110/120 VAC and 230/240 VAC models, there are also versions with a wide voltage range of 10-100 VDC and 20-70 VAC. The P-series signal lights are equipped with an IP66/IP67 degree of protection and are supplied with one meter of cable as standard. All plastic parts are made of high-quality polycarbonate plastics (IK 08). The T-series (ø75 mm) and U-series (ø60 mm) signal lamps have been developed as surface mounting and panel mounting. Industrial lighting with visual, audible and visual-audible functionalities are possibilities of the T-series. The T & U-series are the ideal solution for extreme and demanding applications. The signal lamps are resistant to temperatures from -30 °C to +60 °C, with a protection degree of IP66 and impact resistance up to IK 10, which makes the signal lamps have an extremely robust design. 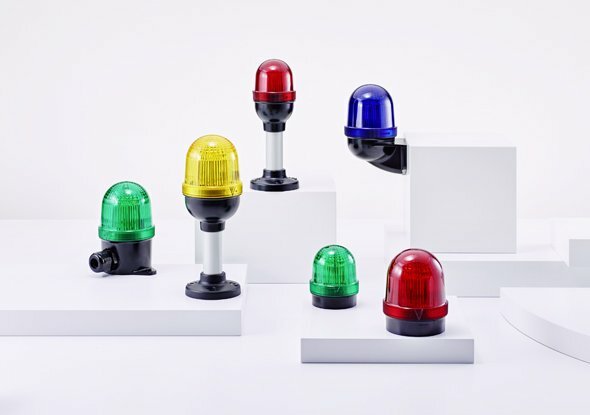 Modular beacons are signal lights equipped with an internal rotation mirror. The Ø 90 mm rotating beacon has a high operational reliability due to the synthetic bearings. The modular flashing light is easy to assemble. The signal lamps are equipped with a rotating mirror beacon or a stable constant light beacon. The rotating beacon has a speed control of 90/180 RPM with a constant speed independent of temperature and environmental influences. 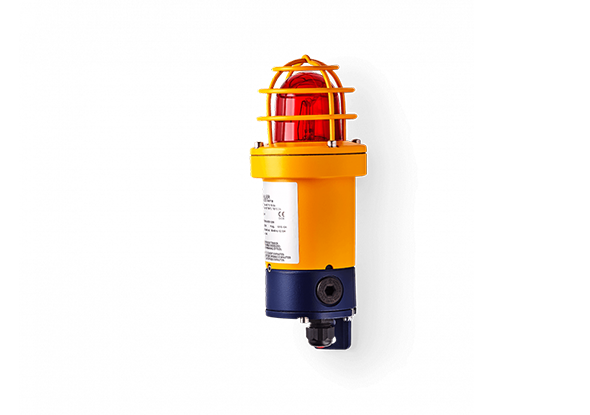 Rotating signal lights are available in ATEX version with IP66 degree of protection. The highest levels of safety require the highest quality levels of signal lamps. The ATEX signal lamps for applications in potentially explosive atmospheres have a robust and seawater-resistant housing with a protection degree of IP66/IP67. The ATEX signal lights are made of metal or plastic. The ATEX signaling equipment has the highest mechanical stability, the parts are wear-free and maintenance-free and offer safety for all applications where the atmosphere may be explosive. For atmospheres classified as potentially explosive, where flammable gases and vapors (zones 0, 1 & 2) or inflammable dust (zones 20, 21 and 22) can form a continuous, frequent, incidental or even rare risk.